Laos is the only landlocked country in Southeast Asia. Its neighbors are China, Myanmar, Vietnam, and Cambodia, and while people tend to overlook Laos as a travel destination, the place is worthy of your attention. People think that tourism in Laos is low, but it only has 20% less tourism that the Philippines, a country with a larger population. Even so, Laos will surely charm you with its sights, small towns, and very polite people. Other than that, below are a few things you should know before your departure. The first thing we need to cover is the visa. There are a few visa waiver countries whose citizens are not required to apply for one as long as they do not stay in Laos for more than 14, 15, and 30 days, depending on the nationality. 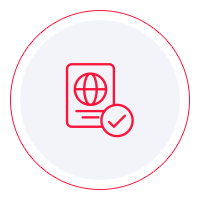 However, almost all the rest of nationalities can obtain a visa on arrival at the airport or at the land border checkpoint. Keep in mind that not all land border checkpoints provide this service, and as far as airports are concerned, you can get a visa on arrival in Vientiane, Luang Prabang, Pakse, and Savannakhet. If you do not qualify for a visa on arrival, your only option is to go to one of Laos’ diplomatic missions in your area. You need to call ahead and ask about the requirements. Why? Because government websites are not updates as often as they should be and misinformation can lead to a denied visa application. Speaking of websites that are not up to date, almost all sites that provide valuable information about Laos are managed poorly. That is why we recommend that you do your research using several information sources, especially about important things such as visa requirements and whatnot. Leaving documentation aside, there are a few things about Laos itself that you must know. For one thing, when you get there, you must be very polite. The locals in Laos expect you to be respectful. You cannot enter a home with your shoes on, you cannot put your feet on the furniture, you cannot photograph people without their consent, and under no circumstance should you eat with your left hand. If you are a lefty, tough luck since left hand is considered unclean in most Asian countries. One aspect that is famous about Laos is that nobody is ever in a hurry there. Everyone is so calm, and you will never see anyone in a hurry. It may be a bit frustrating for a person from the western civilization, but you cannot rush things. Nobody will take into consideration that you are in a rush. However, you go there on vacation. There is no need to hurry. Just sit back and enjoy the slow life in Laos. It can be refreshing not to be in a rush for once. The food in Laos is delicious. It resembles Thai food, but it can be very spicy. You can use the raw vegetables that are served to remove some of that hot feeling in your mouth. As for drink, people in Laos enjoy their Beerlao. You should try it. Perhaps you will like it. There is some language barrier when you reach Lao. People there speak Lao, which is their official language. If you come across some more educated people, you may be able to communicate with them in French (because of the French colonialism in the past). However, it seems that the younger generations learn English in schools, and if you are in luck, you can get around with your English. However, you should learn a few basic phrases in Lao because the locals will appreciate it more than you can imagine. As for activities, there is no lacking of them in Laos. Most people go to the northern part of the country to walk up the mountains. The hiking is splendid in Laos, and the sights can be breathtaking. You must not leave Laos without experiencing an herbal sauna. You can do that in the temples you find on your route. Speaking of, you can visit the many temples all across the country. The tribes in the mountains offer accommodations; however, you must be prepared for a rural experience since there is no internet. Basically, if you choose Laos as your next travel destination, you will not get bored. The trip is affordable, although there are luxury locations. The capital does not look like a city, but more of a town, but you can find some cute French pastry shops where you can get a few treats.